I run an internship programme and as such meet a lot of enthusiastic young creatives who want to know how to become a professional composer or music producer. The one question which keeps cropping up is “How do I make it?” As though success can be distilled down into one simple action. I think this expectation extends beyond music to anyone who wants to become a professional creative. You are essentially treading the line between art and commerce and it’s not easy to find. I do not profess to have all the answers. I can only speak from my own experience. 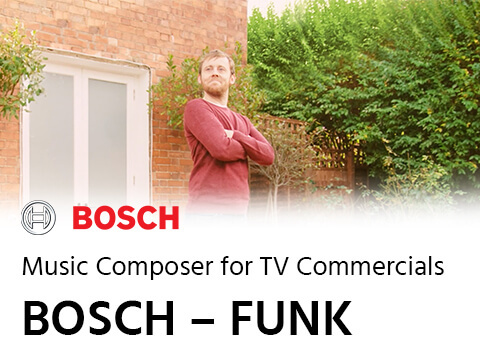 In 2011 I quit my handsomely paid marketing consultancy job to become a full time composer. Luckily, years later I am still writing music professionally. I say luckily, but there has been an incredible amount of hard work on my part too. From my experience it seems that “making it” in any walk of life is a combination of several different things. If you plant a seed, you don’t come back the following day and expect to see a tree. It takes years of nurturing and growth in the right conditions. The same can be said of becoming a professional composer or indeed any other profession. In an age of “life-hacking” there is often the expectancy for things to happen overnight. Invariably they don’t. There is no one single lightning strike. The tendency is to become focused on “making it”. This will never actually happen because as someone who is passionate and driven, every time you reach your goal, you’ve already set a new one. It’s very important to have a vision and goals and these should constantly evolve but if you don’t enjoy the process of achieving them, what’s the point? I don’t think of myself as having made it. I’m constantly looking to learn, grow and get better and as such I will never reach some miraculous end point whereby I can sit back and say “I’ve made it”. Sure I am earning a living, but I never actually know where the next bit of work will come from and that is something I don’t think will ever change. This is an important part of being a composer because it enables you to dissect a piece of music, understand what is happening harmonically, rhythmically, instrumentally, melodically. But more importantly it is the ability to listen to your own work and critically evaluate it. 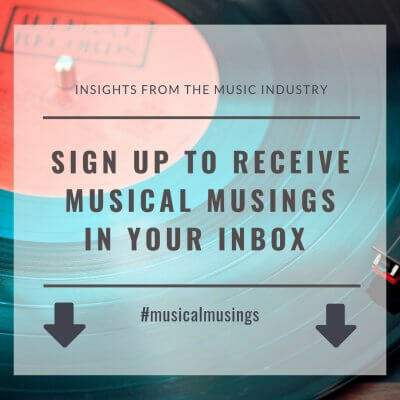 From a composing, production and mix perspective, A/B your music with a commercially released tracks and try and understand why yours doesn’t sound the same. My orchestral scores don’t sound like John Williams’. I am aware of that and will take steps to understand what he is doing. Not with a view to copying but with a view to expanding my musical arsenal. After producing a track I can go back days later and hear problems in the mix. I’m not sure I’ll ever truly be happy with piece of work. I’m learning everyday, which means there’s always something I could go back and change. But knowing when to leave your art alone is also important. As a creative, the pressure to create can be immense. And pressure is a great way to stifle creativity. The good news is that this is self-imposed and you can get past it. Tip: Write for the Bin – Write with the intention of being creative, playful and having some fun safe in the knowledge that whatever you create, can simply be discarded at the end of the day. Being unattached to the outcome fosters greater creativity than pressuring yourself to write a masterpiece. But know that “perfect” doesn’t exist. I am a reformed perfectionist because trying to achieve the impossible is a thankless task. I switched my mindset to pursuit of excellence. Excellence does exist and is attainable. But knowing when to leave a piece of work is difficult. I often get to a point where I am constantly making tweaks that the average person will not notice. That’s when I need to leave it alone and know that it is excellent. I used to look for external validation from others before I could believe that my work was good enough. This stems from my childhood where I rushed home to tell my Dad that I got a B in a test and he asked why I didn’t get an A. That question gave me the desire to perform but for the wrong reason… for his approval. This is dangerous territory in creativity because everyone will have a different opinion. Not only that but one person’s art is another person’s abomination. Having the confidence to believe in what you do no matter what anyone thinks is very important. It’s worth mentioning that I always play my music for people. It’s a strangely revealing process sitting next to someone whilst playing them your creation. If during the playback you find yourself making excuses for parts, then those parts need some attention. But an objective perspective from an impartial 3rd party who’s opinion you respect, can be invaluable. However, in the same way that you might take some of their feedback on board, you should also have the strength to reject feedback you do not agree with. Have the confidence of your convictions. As a freelance composer or music producer you are running a business. And like any business you need to go and find customers. When you find that customer, you need to service their needs and maybe even exceed their expectations so that next time they need music, they come straight to you. I can’t overstate the importance of being proactive. Write music even when you don’t have a brief. Be prolific. Because you’ll get better with every piece you write. Beethoven and Mozart wrote hundreds of pieces of music yet we know only a handful. Look at what you can do differently to everyone else. Go to networking events. Cold call advertising agencies… but do something. Sitting around waiting for the phone to ring is a very disempowering way to live and will lead to little work and maybe even depression. It’s also a tragic waste of time.